Have you guys seen this? 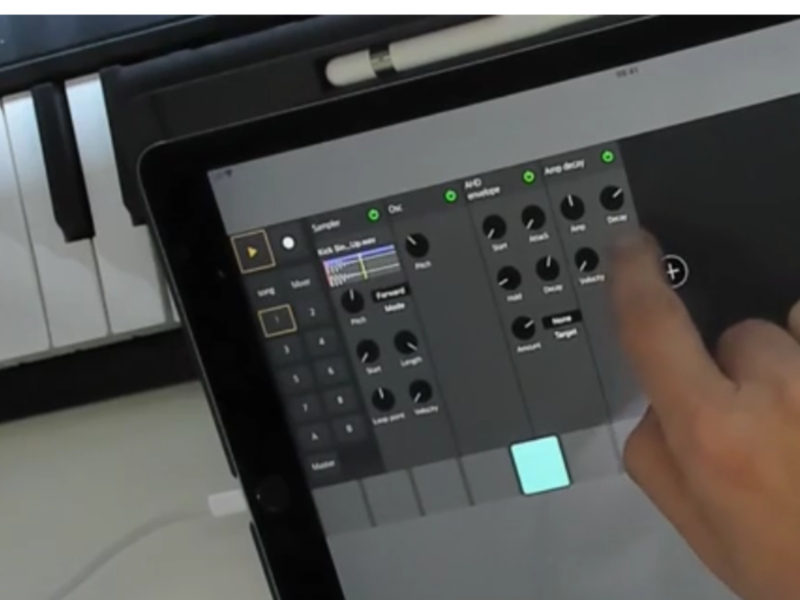 Seems like an awesome modular drum + sequencer. I so want an AU drum synth that I can automate and get twisty swooshy sounds. Not sure it's what you really want, but do you have Ruismaker? I tried it but found the sounds could not be automated the way I want. Whatever the settings were when a step triggered seemed to be locked in for the playback of that hit, if that makes sence. With DM2 or Attack you can automate parameters without being locked in per hit, but of course they are not AU and have midi issues. Fingers crossed Beepstreet provideth! Drop this project now, and go make Impaktor into AU. Simplified (but smart modular architecture - no cables. I'm not sure about the name yet. Its DRambo for now. A single wisp of smoke emerges from ears; eyes roll blissfully upward; ExAsp collapses in a fetal heap. Are the planned improvements to Zeeon still coming? .scl import is badly needed. Given that so few other synths support it, it could be a competitive advantage. Very nice! This is looking so cool. Thanks for the more info. this looks very interesting! eta? I was dreaming about a module such as Drambo in the shower this morning. Now I open AB and find that one is coming. This is awesome. Pardon my poor attitude earlier I am very excite. @giku_beepstreet when you say sampler do you mean we can load our own samples in this thing? Yes. And it uses iCloud drive as an option. You load samples to a Drambo folder on your Mac and they are instantly available on iPad. The best solution for import/export hell IMO. @giku_beepstreet I know it's early, but let us know when you're ready to beta test this bad boy. I'd love to get a chance to put this through it's paces - keep me in mind. What if you had an Audioshare folder or a ‘File’ folder in BM3. Looks like it would have to be one at a time to iCloud then.... unless there is a trick I have yet to figure. Looks like Files can just move them from Audioshare to iCloud. If an app supports iCloudDrive it automatically supports Files.app on iOS11 so we have nothing to worry about. Whoot, got the edit in just in time! Will the sequencer be available in AU mode. How about AUv3 Full Screen and MIDI out? Ruismaker certainly led the way in AU drum synths. But we still need some more ambitious options...like AU embedded sequencers and sample import.